Yesterday after yoga we discovered my 4Runner had a flat tire. I have a mild fear of flat tires. There's no logic to my fear. I'm always worried I'll have a flat on the side of the highway and then someone will swerve and hit me. The End. Lucky for me my husband was with me, and he is a tire changing machine. By the time I walked to the front of the car and pulled out the owner's manual and flipped to the tire changing pages he was already lowering my spare tire from the undercarriage. We (I use the term "we" loosely) had that tire changed in about 5 minutes. Today I spent my lunch at Discount Tire Co. They had my flat fixed and my spare swapped out by the time I walked back from Taco Cabana. They handed me my keys, and as I was reaching for my wallet they said there is no charge to fix flats. 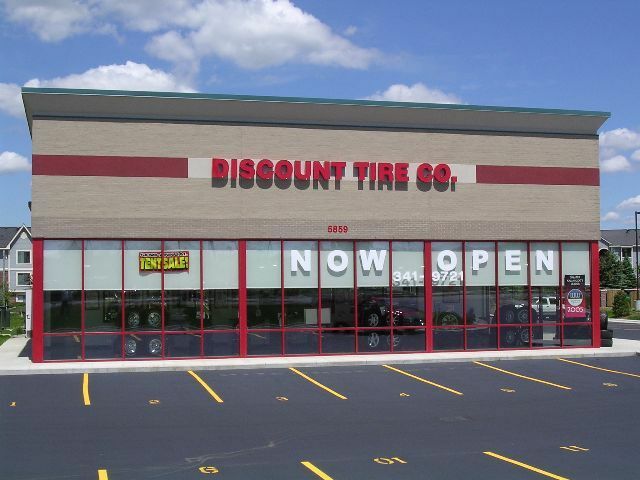 I didn't buy my tires from Discount Tire Co., but I will next time. My husband (who should work in a pit crew for NASCAR) was with me when I had my first flat since owning my 2004 4Runner. Discount Tire Company fixed my flat fast and for free. Taco Cabana's street tacos were a delicious lunch. It's good to be you, in so many ways.